Our wonderful churches and chapels are only here because of the work and generosity of past generations – help us secure their future by playing your part in supporting our work. The best way to achieve this is to leave clear legal instructions in the form of a Will or Codicil. Your Will can be changed at any time, either by making a new one or by recording the alterations in a Codicil. When you die your estate may be liable to Inheritance Tax if the value of your assets, including your home, exceeds the relevant tax-free limit. However, any gifts of money or other assets that you leave to charity will be free of tax and may reduce the rate charged to the rest of the estate. The Wiltshire Historic Churches Trust is a registered charity (registered charity number 1075598). 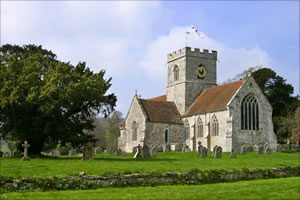 Your solicitor will be able to advise you of the tax advantages of leaving part of your estate to the Wiltshire Historic Churches Trust. If you wish to leave a legacy to Wiltshire Historic Churches Trust, these suggested clauses may be of assistance to you and your solicitor. The information contained on this website is believed to be correct at the time of issue, but changes in law do occur from time to time, so you should seek professional advice on the current situation.